Life is tough, but we’re tougher. Having two children before the age of 21 was never the plan, but a great shift in life regardless. Raising these little humans hasn’t been easy and even though there are times when pulling my hair out seems like a great idea, I wouldn’t change this life for anything. Just when I thought having not one, but TWO kids was hard enough, the news of my oldest child being diagnosed with Autism Spectrum Disorder turned my world upside down. I believe there are stages that a parent goes through when presented with a job like this. The term “job” may seem odd, but when I’m done explaining you’ll understand. Back to the stages. First, I felt Guilt. I asked myself the same question over and over, “What could I have done differently?” But the truth is, there is nothing I could have done to change the outcome. The pain I felt for my child was overwhelming. I researched any possible reason as to why this could have happened, from the depression I had during my pregnancy, to maybe him watching too much television. I read that Autism is a chemical imbalance in the brain, meaning different areas of the brain send different signals than that of a “normal” brain. There’s not enough research to determine why this happens, but there’s enough to know that the change in the brain occurs most likely during pregnancy (when the cerebral cortex is forming), which of course, did not ease my mind. Basically, I blamed myself. I felt like if I did one thing differently, like changed the food I ate (silly, I know), maybe he wouldn’t have this disorder. Soon, I would come to realize that blaming myself wasn’t the answer, which lead me to the next stage I experienced — Acceptance. This did not happen overnight. It took weeks of reading articles and other parents’ testimonials to accept the diagnosis. I got involved in organizations such as: Ausitm Speaks, Autism Society of America, and National Autism Association. I became like a “walking facts sheet.” I didn’t know a single thing about ASD, but it had quickly become a part of my world so I figured I needed to start learning. Get ready because I’m about to give a lot of information. Something that was immediately brought to my attention upon opening my internet browser, was that ASD now affects 1 in 68 children and 1 in 42 boys. So not only is Autism a growing condition in the world, but can be found mostly in males. Also, specialists now believe that this condition forms because of the individual’s genetic makeup. If someone has family members with Autism, then it is most likely to be passed down. I found this odd because my son had been the first to be diagnosed with ASD in the family on my side and on his father’s side. I may never know how Autism found its way into my life, but it was a part of my son and therefore a part of me. A fact I discovered over time was that ASD varies from person to person, meaning that no two people with it are alike. Autism is a SPECTRUM. Example: One child with ASD could excell in Mathematics while the other has poor skills in Math, but excels in Art. This is a simple example, but it can be expanded nonetheless. The differences between individuals with Autism are on a rather massive scale. ASD affects areas of the brain that control social interaction, so these individuals may feel that interacting with others can be quite uncomfortable. Many children with this disorder would rather be alone in their own little world because that’s where they can truly be themselves. ASD also affects communication skills. Some can speak rather well while others may remain mute their entire lives. Repetition of phrases or actions is common in a child with Autism. There are many phrases my son will repeat, most of which I do not understand, but I do my best to try and communicate back with him. Some actions he repeats are lining up his toys (cars, blocks). I think he finds comfort in doing so and it amazes me the complete focus he has when doing these activities. ASD affects cognitive function, as well. Cognitive function has to do with your brain’s way of thinking, reasoning, remembering, and perception. 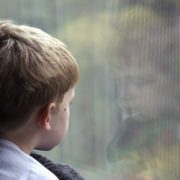 Many children with Autism have difficulties in these areas, but that does not necessarily have to do with intelligence. Sensory processing (texture, smells, or visual) is another area that Autism can affect. It’s hard to find foods for my son to eat because of certain textures. So the art of “sneaking” things into the few foods he does enjoy has become the norm during meal time. Another example is that he doesn’t like condensation on the outside of a glass, or cup. I have ways of compromising, of course, so this isn’t a major issue. These are just some examples of how ASD has affected my son in a specific way. The same can’t be said for other individuals with Autism. Like I said before, Autism is a SPECTRUM, so while one child may have issues with certain areas another could have no problems at all. This is another reason why you cannot approach ASD in a “single-minded” manner. Yes, there are similarities in children with this disorder, but it is foolish to think they are all the same. While researching any chance I could helped me cope in some way, it also showed me that in the world of being an “Autism Parent” — I was not alone. After accepting my child for who he was and cramming as much information as I could, I moved on to being Scared. Not for myself, but for him. I was scared for the day some ignorant person would treat this innocent soul with hate for being different. So I immediately became an advocate for this tiny human being — his VOICE, if you will. In a world where society can be cruel to things different than the norm, and ignorance has a face of many, my son needed that voice. This is why “job” is an appropriate term for being an Ausitm Parent. It’s my job because not only am I an advocate for my son, but I’m also his teacher, therapist, and specialist. I will witness many milestones, or should I say miracles. I will educate him to love himself just the way he is. I will become a specialist in the Autism world because I have a front row seat allowing me to witness what this word actually means. One thing that I realized is that “Autism” is just a word. It does not define my child’s capabilities, strengths, or challenges. It does not choose what he will accomplish in his life. I am there to help him realize that he can do anything he sets his mind to. What the word shows is that just because he has a disability doesn’t mean he isn’t smart, or doesn’t have feelings, if not more, just like everyone else. It shows that he is simply different and that “normal” is just another word. I think I’ll always be in the Scared stage of this journey. The fears I have as a mother will only ease as he grows and surpasses the challenges that life throws at him. There will always be ignorance, but that’s where the Advocate comes in. Not only will I be teaching him, but I will educate others, as well. Most people are born to know what normal is so when they see someone who isn’t just like them, it can be an odd experience. For example: When my family goes out in public, my children look just like any other child, but the difference is that my son can hear things we can’t, see things we can’t, and react to these things in ways we wouldn’t normally. Lights, sounds, smells, and even too many people can set off a meltdown. What is a meltdown? It is not to be confused with a temper tantrum. A meltdown is “an intense response to overwhelming situations.” It happens when someone becomes completely overwhelmed by their current situation and temporarily loses behavioural control. This loss of control can be expressed verbally (shouting, screaming, crying), physically (kicking, lashing out, biting) or in both ways. Seems like a lot to take in, right? Well, when someone isn’t familiar with what Autism is, their reaction to the situation is usually unpleasant. It’s hard to not let the rude looks and whispered remarks get to you. Most people just see a child misbehaving, so it’s my job to educate those willing to listen that Autism does not have a specific face. A “normal” looking child crying in the middle of the store and covering their ears may have a disability, so it’s important to never immediately judge the situation if you find yourself in one like this. I have had many tell me that my child just needs to have a good ole-fashioned whipping, or that he needs to learn to “act right.” These are only a few things that you will hear from others. One thing I’ve learned is to NEVER take what individuals say to heart because they are ignorant to a situation. What people don’t see is my son struggling to learn things other kids have already learned ages ago, or the unconditional love he has for everyone around him. 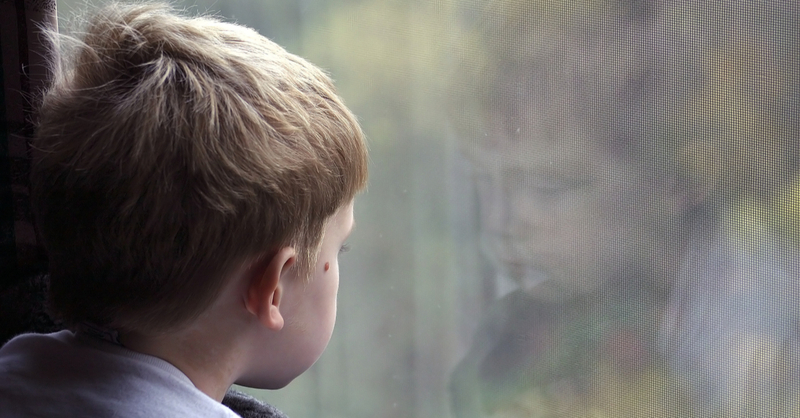 They don’t see the tears he cries because he can’t communicate and it frustrates him, or the countless hours of therapy he has gone through just to learn speech or motor skills that comes naturally to us. No one sees the tears you shed as a parent because of the times you’ve tried everything to calm your child during a meltdown, but nothing works. They don’t understand why you jump for joy because your child said a simple word that you’ve been trying to get them to say for weeks in therapy, or when they put their first puzzle together. I don’t expect people to want to know these things about my son, or my life, but there will be those who step in and want to learn and help. Cherish those individuals. When they walk away with knowledge of something barely talked about, then you’ve done your job. This journey does not just include yourself and your autistic child. It also involves your family. For me, that especially includes my daughter. She is too young to understand right now, but one day she’ll ask why her brother acts differently than herself and their peers. A good Rule of Thumb for explaining Autism and other disabilities to young children: Do it early and do it often! It’s important to give appropriate information for a certain age, so as she grows the information I share with her about Autism will also grow. But I know it won’t be easy for her, or for myself. A stuggle I will have as a mother is knowing the demands she will face in her life. She will experience things that no other sibling will have to. She will see first-hand the meltdowns (which may frighten her) and the attention her brother requires to get through the day. Though I can only hope she sees that I truly try to dedicate my time and attention equally to both her and her brother, I also try to give my daughter her own special time. Again, she’s too young to understand, but she will one day and it is essential to give some of my time specifically to her. Even if it’s just giving her extra hugs and kisses at night. My daughter is a special individual who is unbelievably smart. She shows so much love to her sibling, and I know she will be raised to treat others with kindness and respect because of the situation she was born into. I cannot wait to see the amazing things she will do in her life with the knowledge she will aquire over time. As an older sibling of two younger brothers, I felt compelled to protect them, but with my daughter I think she will feel the need to protect her older brother. This is not her job, nor will I raise her to believe that it is, but I’m hoping that being a sibling of Autism, she will know to do the right thing and help others when they need it most. Not only am I raising my son to be the best person I know he can be, but I’m also doing the same for my daughter and so far it’s been an unbelievable experience. I’ve come to realize that being an Autism Mom is a blessing. I don’t know why I was chosen to be this special little boy’s mother, or have an amazing, beautiful daughter. I like to believe that I was picked for this because I’m strong enough even when I feel weak. Not only do I get to raise these children, but I’m responsible for molding and shaping their minds to understand things most parents don’t get an opportunity to teach their kids. The days can be hard and some days will be harder than others. Some are filled with miracles. The advice I give to those who find themselves in a similar situation is that even though you will feel like you can’t do it sometimes, IT IS WORTH IT AND IT WILL BE OKAY. When your child says their first word at the age of three, sings their first song, makes a friend, or surpasses that milestone(s) they’ve been working so hard to overcome, you will know what a miracle looks like. The love your child will experience from those who want to understand, or dedicate their lives to teaching children like him/her, is a miracle. The smallest act of kindess from a stranger who has the slightest thought that this child is different..is a miracle. The last stage you’ll feel is Thankfulness. You’ll be thankful for being blessed with such a beautiful child. I’m thankful everyday that I get to shape this little mind, experience the challenges with him, and watch him grow into a remarkable adult. I am my son’s biggest fan and greatest supporter. Not only am I those things for him, but I strive to be a great example for my daughter as well. I put a lot of pressure on myself to be what both of my children need. They both require different things, but one thing that is equal between the two is the love I have for them. Being an Autism Family is hard, but the love and support that comes from it is easy. I want my babies to be proud of their mother and to be proud of themselves. I want everyone I come in contact with to see that yes, things are tough, but we’re tougher. This is the life I see through my window, and I wouldn’t change my view for anything. 22 years old and the mother of two amazing children, Nick and Maddie. My son was diagnosed with Autism almost a year ago. My goal is to inform and hopefully help some people along the way that are going through a similar situation.